Car dealers could make better use of videos when trying to sell to customers, new research has suggested. According to CitNow, 42 per cent of car buyers will look at videos when they are researching a potential purchase, with 87 per cent saying a good video will have a positive effect on their decision of whether or not to go ahead with the acquisition. 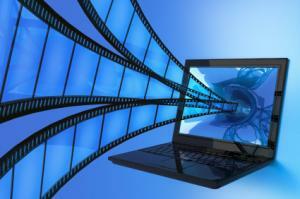 However, the data suggests that fewer than three per cent of car dealers used videos on their websites. Driving sales through online channels is becoming increasingly important for the motor trade industry and these businesses themselves are going online to obtain services and products. One such example is when a company or individual is looking to acquire a road risks insurance policy or combined motor trade insurance – using a firm such as Bollington, traders can get online quotes for their insurance, but it is advisable they then speak to the expert brokers to ensure they get a policy that meets all of their needs. Alistair Jeff, commercial director at CitNow, explained to AM-Online: “Consumers are taking control of the sale. Showroom traffic is declining, 50 per cent of enquiries are by telephone, email or chat.